BRYAN EATON/Staff Photo. Eagle Bear from the Apache people of Colorado plays some traditional sounds while chanting on this drum made of animal skins. 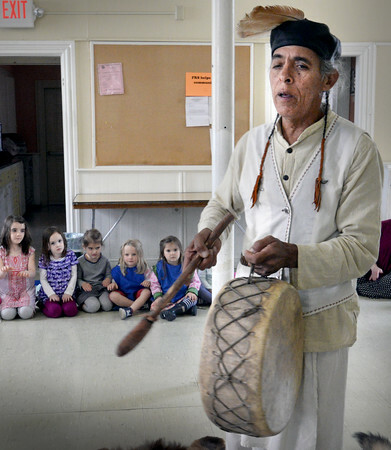 He was at the Newburyport Montessori School on Monday telling about the life of Native Americans from the west.